BRUSSELS — NATO foreign ministers invited tiny Montenegro to join their military alliance on Wednesday, in defiance of Russian warnings that such a move would be a provocation. 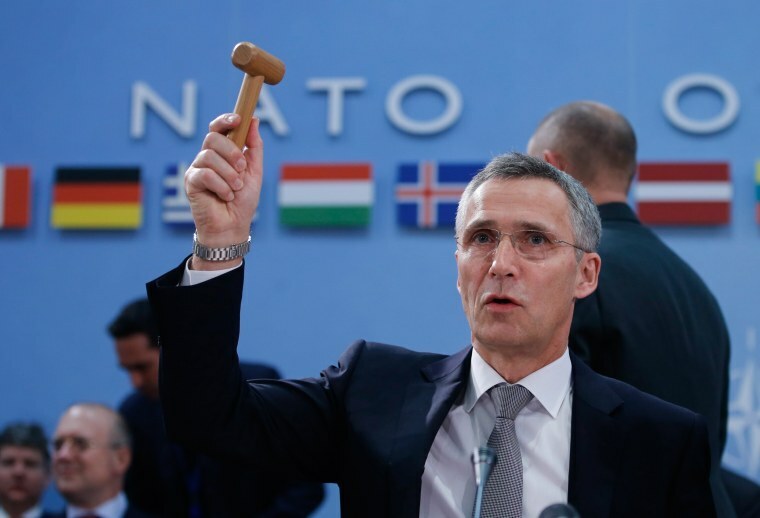 In a scripted session at NATO's headquarters in Brussels, Montenegro's Foreign Minister Igor Luksic strode into the imposing conference hall to loud applause from his peers as NATO chief Jens Stoltenberg declared: "This is the beginning of a very beautiful alliance." Congratulations to #Montenegro on invite to begin talks to join @NATO - Alliance committed to regional security, stability & open door. Stoltenberg said inviting Montenegro — the U.S.-led bloc's first expansion since 2009 — had nothing to do with Russia. But NATO diplomats have said the decision sends a message to Moscow that it does not have a veto on NATO's eastwards expansion, even if Georgia's membership bid has been complicated by its 2008 war with Russia. Moscow opposes any NATO extension to former communist areas of eastern and southeastern Europe, part of an east-west struggle for influence over former Soviet satellites that is at the center of the crisis in Ukraine. Russian Foreign Minister Sergei Lavrov said last September that any expansion of NATO was "a mistake, even a provocation." In comments to Russian media then, he described NATO's so-called open door policy as "irresponsible." RIA news agency cited a Russian senator as saying Wednesday that Russia will end joint projects with Montenegro if the ex-Communist country joins the North Atlantic Treaty Organization. The Adriatic state of 650,000 people is expected to become a member formally next year. Viktor Ozerov, head of the Russian Federation Council's defense and safety committee, said the projects which could be axed included those in military areas, RIA reported. NATO foreign ministers broke off formal contact with Russia in April last year after Moscow annexed Ukraine's Crimea peninsula and sparked the conflict in eastern Ukraine that has killed more than 8,000 people. Still, NATO allies are divided over what message to send to Georgia over its long-delayed membership bid, with some European capitals arguing the alliance would be unable to defend the ex-Soviet state in the event of a conflict with Russia. NATO's founding treaty deems an attack against one ally an attack against all, giving any member a guarantee of protection.